As an E-Commerce merchant, the look and feel of your webstore, its usability and user experience are what increase your inbound traffic and boost conversions. However, if your webstore isn’t optimized for conversions, you stand to lose potential customers to your competitors. BoostSales by Newgen diagnoses merchants’ webstores and helps them optimize their E-Commerce conversion rates in order to boost their online conversions and sales. DOES YOUR E-COMMERCE WEBSITE LACK TRAFFIC OR CONVERSIONS? Your webstore is the key platform for attracting visitors, engaging them and converting them into paying customers. A multitude of elements determines if a customer makes the decision to learn more about your offerings, chooses a product to buy, and decides to do business with you. Our creative team is passionate about crafting effective webstore experiences to convert your visitors into customers. From the day a merchant contacts us, our experts do a deep dive and go through every element of their website, from the user interface design, website branding, and user experience, to the website speed, performance, and SEO configuration. We act as a business partner to merchants, sharing our diagnostic results in a series of collaborative discussions. Once we sync up on our specific optimization recommendations, we then proceed to create a clear strategy with the merchant on specific improvements, fixes, milestones and timelines to let their visitors and customers experience the fresh look of their webstore. To optimize an E-Commerce website, it is crucial to diagnose its user interface from the perspective of the visitors. BoostSales’ team runs through an exhaustive review process that simulates the entire shopping flow, from the home page to the checkout page. Our design team evaluates all aspects of the webstore interface and branding, including color schemes, fonts, and layouts. 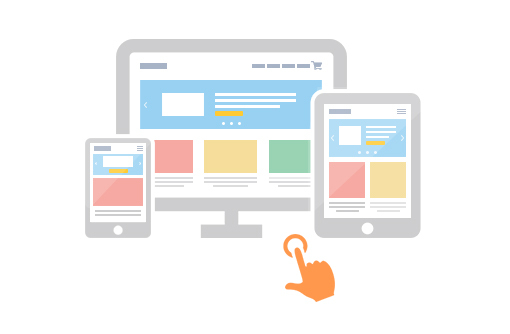 We also assess the user experience and accessibility of the webstore across the range of devices and browsers. 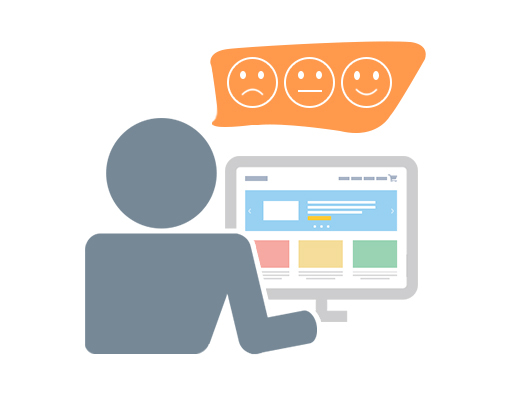 Our diagnosis process tests a wide range of visitor and customer scenarios to identify gaps and issues in the webstore’s overall user experience. We aim to make the product browsing experience as seamless as possible for all visitors. Think about how the best brick-and-mortar stores are organized: they make it easy for the customer to find the exact product that they are seeking, provide a good set of product variants to choose from, display related products and bundles, offer instant customer support, and let the customer instantly add or drop items from their cart. We aim to do the same for your webstore by identifying potential bottlenecks in the shopping experience flow to optimize it for maximum conversions. Your webstore’s content reaches not only your immediate audience but also your potential customers. 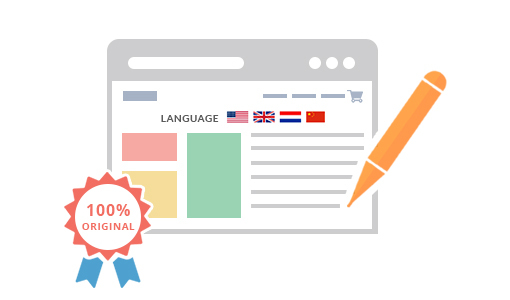 Whether the content is on the webstore homepage or in a blog post, it should be unique, compelling, easy to understand and have sufficient language options. The wider the audience your content reaches, the greater are your chances to get new inbound traffic. Our content writers do a comprehensive review of webstore and sales copy content. Having top-quality content is not enough. It is equally important to optimize website content for better search engine rankings, in order to increase your webstore’s visibility. Our team tests webstore SEO friendliness with a comprehensive report to provide valuable feedback on the gaps that need to be addressed and steps to take to improve your SEO performance. Your online business needs to have a comprehensive and well-maintained social media presence. 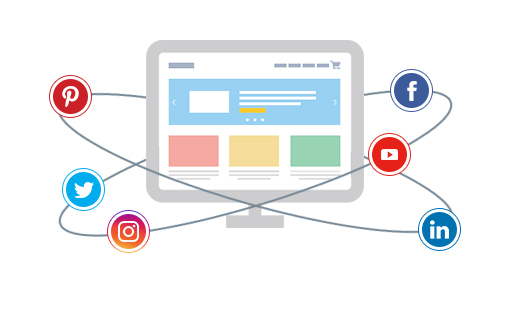 Every blog post, image, video or comment you share is an opportunity to connect with customers. With every comment, like, or share your posts receive, more people will see your brand in their feeds, increasing the likelihood of them visiting your webstore. We evaluate the quality of merchants’ social media setups and work with them to formulate a winning social media marketing strategy. 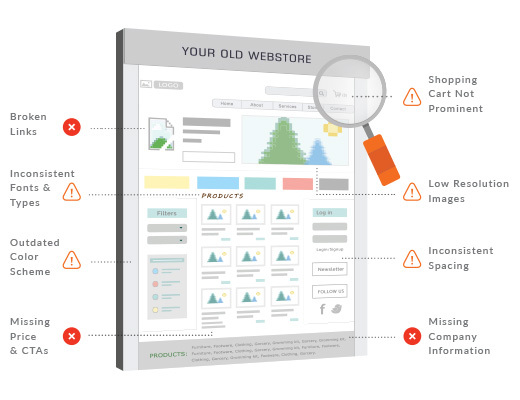 Learn more about how BoostSales can help optimize your webstore’s design after diagnosing these gaps. Click on the button below to learn about the next step in the BoostSales process: Webstore User Interface & User Experience Design.